Skincare is becoming increasingly more vital in my daily routine, especially since around this post in July (nothing to do with the post, simply a marker I can explain) I’ve had really bad dry skin around my eyes which I can only assume is eczema or psoriasis. Kill meeeeee. Winter slays my skin without having a condition on top of it haha. Do any of you have eczema or psoriasis? How do you deal with it? But this is what I really wanted to talk about; since making the switch to only purchasing cruelty free products I’ve discovered SO many new brands I hadn’t even heard of before, one being Odylique. 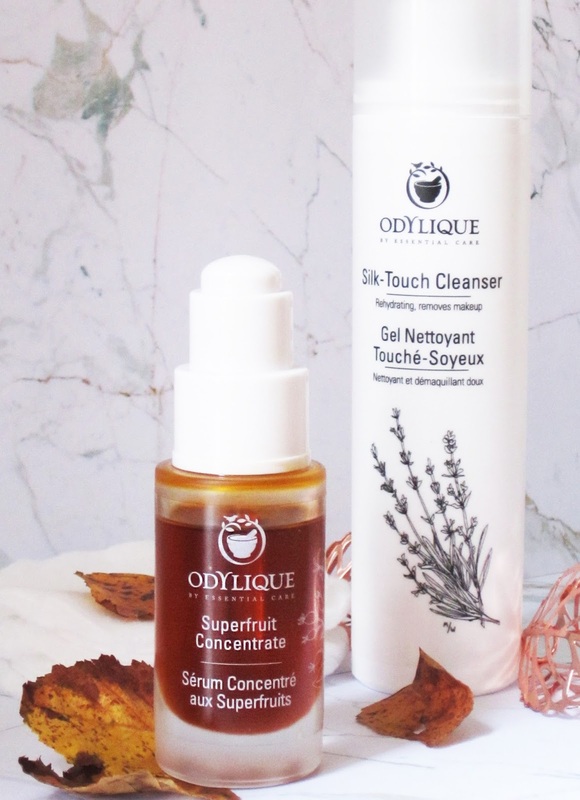 The lovely Amber at CCD got in touch with me and asked if I’d like to try any of their products so I chose Odylique’s Silky-Touch Cleanser and their Superfruit Concentrate! 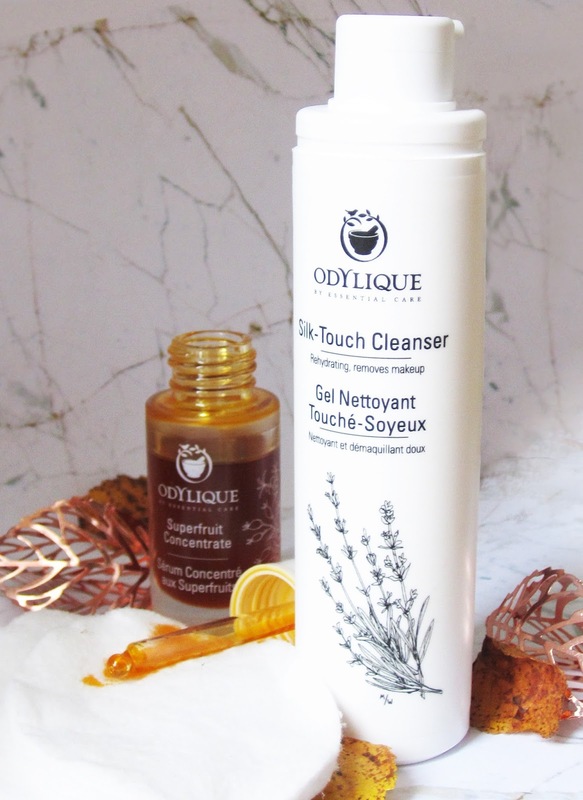 I know I said in my Janjira post that their Micellar Water was my new favourite make-up remover but since then Odylique has honestly stole my heart. 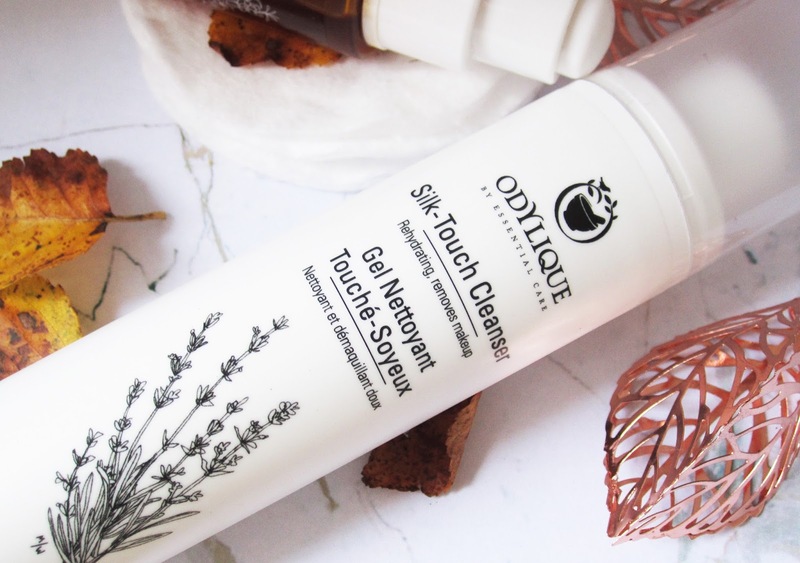 Micellar Water is one up from make-up wipes for sure, but this milky, silky and lathering cleanser is my new favourite. You pop a pump of the gel-like liquid onto a wet cotton pad or your fingers and use it as you would Micellar or face wash.
Something about the lathering makes it more satisfying to do haha. The reason why I love this so much more than Micellar Water is because when it lathers it gets in all of the hard to reach places like the pores where my nose and cheeks join. My skin feels so clean, fresh and smooth afterwards! I’ve not had any break-outs except for hormonal chin ones since using this. That time of the month, ya feel. I clean my face with this once a day. The ingredients are all cruelty free and organic which leaves you smelling herbal with a touch of fresh lavender, mmmm-mmm. 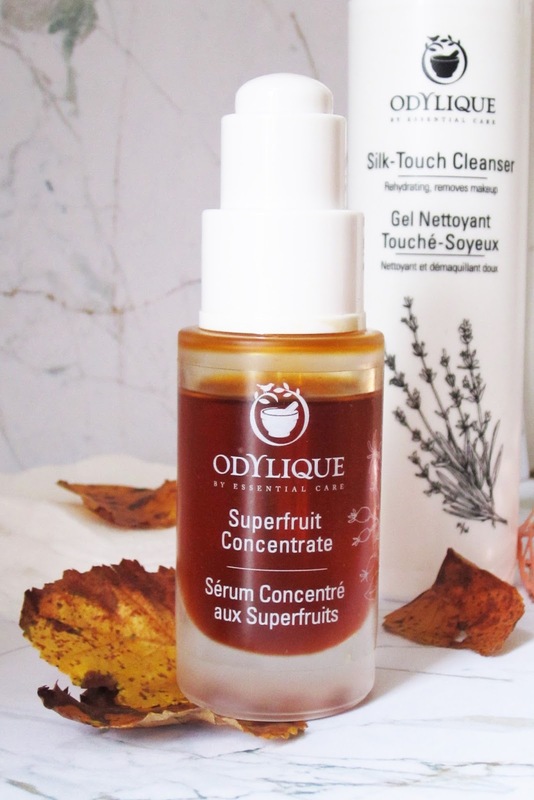 Twice a day (though you really don’t need to use it this much) I've been using Odylique’s Superfruit Concentrate Serum. It’s super bright orange but once rubbed into your skin gives a healthy glow that I LOVE- especially as now that the summer sun is setting, any skin glow or tan I had has gone. It'll be time to crack out the winter foundation before I know it! Noooooooooo! The serum also protects from the sun’s rays so if you wear it under make-up you have less reason to worry about a crispy burnt forehead (we’ve all been there). I left the house for a walk without make-up on for the first time in uncountable months the other day, wearing only this on my skin and felt actually okay with being bare outside haha. As you know, I’m a sucker for packaging- this gorgeous serum bottle is made from a frosted glass so don’t drop it (I knocked it over once already). Inside the bottle is a glass dropper, with a push button on top that measures one-two drops of serum at a time which is all you need for full face coverage. This little orange liquid regenerates skin cells, protects from UV, reduces wrinkles and signs of ageing so it’s really the one man band of serums. My skin does feel more nourished since using it. Although the texture is a little greasy, the product sinks in really quickly and you don’t need a lot so I can see it lasting a while. The smell of the serum is a little too herbal for me, but it’s not horrible and the effects of it are so worth smelling a little homeopathic. Hints of Lavender from the Silky-Cleanser are super forgiving undertones to it. I’m so glad that I got to try these out as I can see them being products that you use for years to come, like that particular perfume you just can’t let go of. Although they're a little on the pricey side I will be repurchasing if my student budget allows it! The most natural and nourishing cleanser and serum I've used by far. 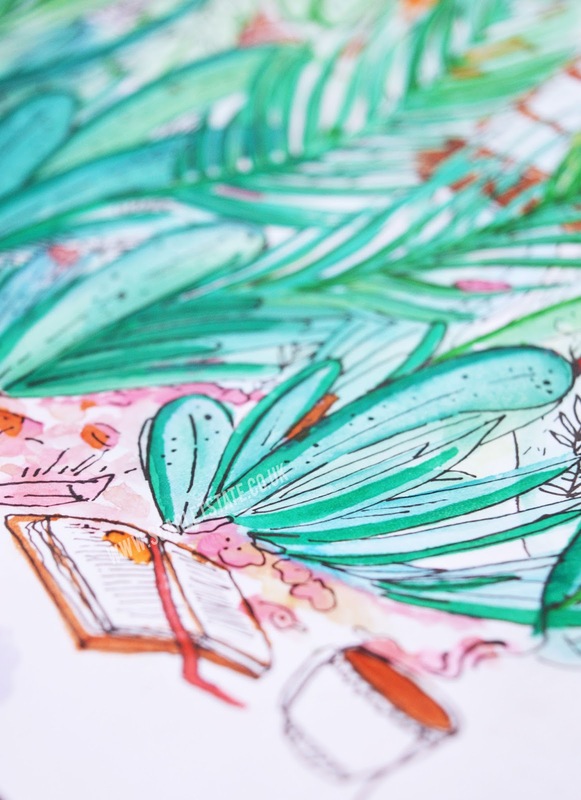 p.s: Have you noticed the new blog design? A little Autumn overhaul! Can't wait to get more Autumn themed posts up and these photos were so fun to take. What do you use for your skin? Do you have a routine? *The products in this post were sent to me to try. As always all words and opinions are mine! See my disclaimer.